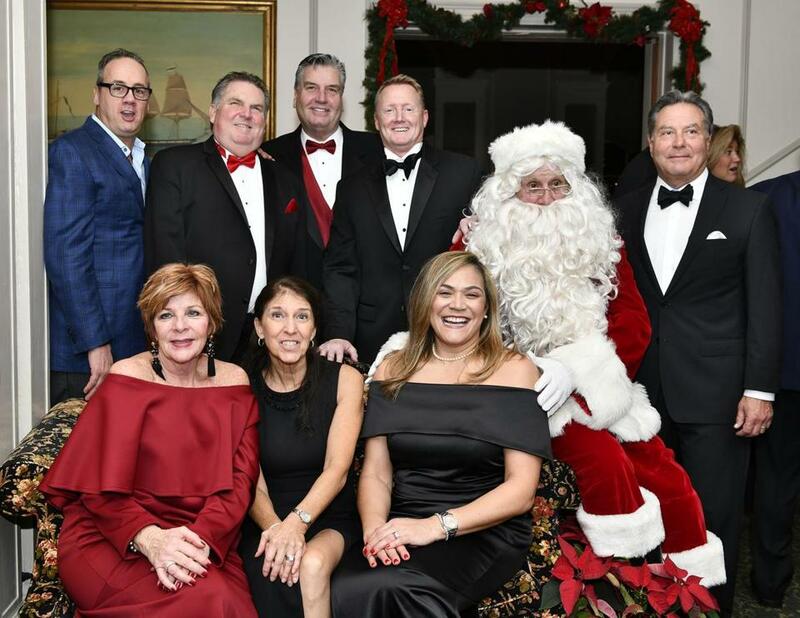 The Salem Snowball committee members (back row, from left) Pat Buonopane, Chris McNeil, David Silvey, Bill Lynch, Globe Santa, and Frank Romano and (front row, from left) Sheila McNeil, Jane Fuller, and Julie Silvey during the Salem Snowball at the Hawthorne Hotel, which raised an event-record of $22,500 for Globe Santa. As a child, Pat Buonopane’s mother received gifts through Globe Santa to give him the sort of Christmas that so many other children had. For many years, he didn’t know where the gifts had come from. Decades later, Buonopane is now on the board of the Salem Snowball committee, organizing the benefit that has raised money for Globe Santa for 24 years. This year’s Snowball, which was held on Friday, raised $22,500, a record donation for the annual event and one that put the group’s 24-year total to $204,448. The event was sold out this year — as it usually is — with 160 people in attendance. “Globe Santa made a difference for me as a child, not knowing until later on in life how my mother pulled it off,” said Buonopane, who shared his story at Snowball several years back. Buonopane is also an auctioneer at Snowball, where participants can bid on donated items in both a silent auction and a live auction. The auctioned-off items come from all over the community and include everything from an overnight stay at the local Four Seasons to a complete dinner for six, paired with wine. 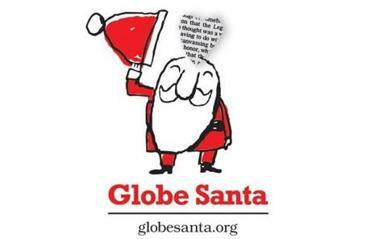 Here’s how to donate to Globe Santa. Attendees are also always excited about the band, Groove Authority. Unlike so many other bands, Buonopane said, it doesn’t take six or seven songs to warm the crowd up. As soon as Groove Authority starts playing, Snowball attendees start dancing. Jane Fuller, vice president of the Snowball committee, has been helping with the event since 2000 and said it now runs like a “well-oiled machine.” Year after year, many of the same people return to help out, both with their time and their money. Buonopane said anyone interested in attending the 25th Snowball in 2019 should book their table by next summer or fall. Bill Lynch started Snowball with just a few friends back in 1995. He was in his 20s at the time, and Snowball was little more than a house party where everyone brought a gift to donate. Before long, Lynch was renting a hall for the annual event, charging an entrance fee, and raising more money than he ever expected for the Globe Santa fund. It just caught fire, he said. After all these years, Lynch said, it’s still the “same concept, same idea.” Back in 1995, they raised about $1,600 for Globe Santa. Now, they’re breaking their own record for donations each year. “It’s a prime example of an evolution of what’s possible,” he said.